When a disaster strikes, many people have no idea what they should do. Having a contingency plan ready in the event of a disaster can mean the difference between life and death. That is why the Red Cross encourages people to consider what they might do in the event of a disaster. Disaster can strike quickly and without warning. It can force you to evacuate your neighborhood or confine you to your home. What would you do if the basic services, such as water, gas, electricity, or telephones were cut off? Local officials and relief workers will be on the scene after a disaster, but they cannot reach everyone right away. 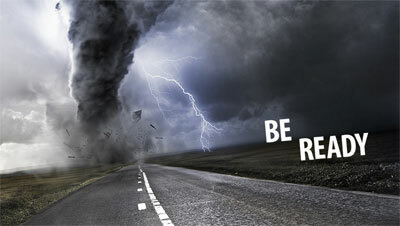 Therefore, the best way to make your family and your home safer is to be prepared before disaster strikes. Being prepared for a disaster like the Red Cross suggests is all well and good, but there is one disaster many people are completely unprepared for — their death. Every day, an untold number of people die or are killed unexpectedly, and yet the majority of us have given little-to-no thought about our death. Who can find fault with that? Who wants to think about losing their life? “I’ll deal with it when it happens,” is how most of us slough-off the thought. But is that really wise? Oh, sure, some of us have gone as far as to make out a will or some similar document, declaring how we wish our estate to be distributed upon our death and whether we desire to be buried or cremated. But that is about the extent of it; unless of course, we hold to some religious belief and/or philosophy. But again, for most folks, that belief is more like an insurance policy, just in case there is some sort of life after death. Does that sound about right? Does that pretty much sum up your thoughts on the subject? In this day and age, many people in North America say they believe that there is some sort of “higher power,” but they struggle with that belief, because they have difficulty defining exactly who or what it is. A number of people have some sort of belief system, but most times it is based on logic and/or reasoning rather than faith. And even those who do profess to have faith in what they believe, are really just hoping that what they believe is true, because in all reality, they don’t really trust that what they believe is true. Do you know why? A lack of evidence is the number one reason most people are reluctant to fully place their trust in God. And why should they? Why should anyone place their trust in something that there is no solid evidence of? Isn’t that really nothing more than blind faith? Who trusts in something they cannot see or touch? Well, actually, we all do, to some extent. 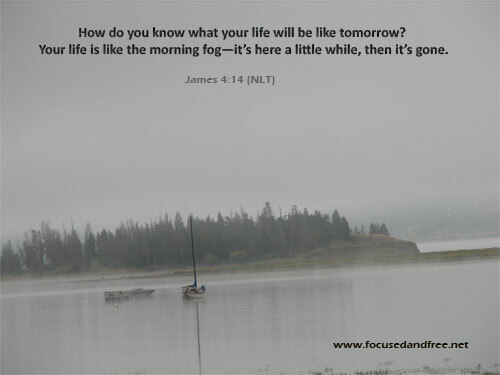 We trust that when we wake up in the morning, we will live through the day – even though we know that no one knows when or how they will die; even though we are aware that a number of people die unexpectedly each day. We still trust that we will not be one of them. We make plans for the future based on that trust. We trust that when we get on an airplane or get into a car or get into an elevator, that it will take us where we want to go and that we will arrive there in a safe and timely manner. We place our complete trust in other people everyday. We trust our doctor, we trust our spouse, we trust other members of our family (well, most of us do – grin). We trust the cab driver, we trust the bus driver, we trust the people that built our home, the people that handle and prepare our food when we dine out. We trust that our system of government, with its checks and balances, will continue to guarantee our basic rights and freedoms. We trust those who work to protect us from harm, and those who come to our aid in our time of need. We place our trust in so many people, places, and things, that we really have little-to-no control over. Why are we so willing to trust in the things I just mentioned, and yet remain so unwilling to trust in the God of the Bible? Isn’t it because we see these things work for us day in and day out? Do these things that I have mentioned always work the way we want them to? No. Yet we still trust in them, don’t we? Day in and day out, regardless of the outcome, we still have complete confidence in those things upon which we place our trust. So why is it so different when it comes to God and the Bible? “I can’t see God or touch him.” There are many things we cannot see, touch or understand, that we place our trust in every day! Take electricity for example. We do not see electricity, but we know it is what makes the lights come on when we flip the switch. Do we understand how it works? Not really. We may have a basic understanding, but the exact details are lost to most of us. Many of us are unable to explain the intricate nature of electricity – or any other similar power source, such as a battery. Yet we trust in that power every day, because we see the results every day. So it is with God. We see the power of God at work in the world every day. Though we may not understand how or why God works as he does any more than we understand how or why a microwave oven works, we just know that it does. Just as we know it is not wise to ignore the instruction to avoid putting anything metallic in the microwave, we also know that 'to reject the evidence of God in our life' is not a wise decision. The universe presents overwhelming evidence for God’s existence (Psalm 19:1), but no one can be forced to believe in God. In fact, God’s infinite nature makes it impossible to apprehend Him directly (1 Timothy 1:17; 6:16). Because God is Spirit, conclusions about the ultimate beginnings of the universe, need to be drawn from the created world, and God’s actions within it. Here in the created world, the evidence for God’s eternal power and divine nature is so overwhelming, that belief in Him is the only reasonable option (Romans 1:20). While some aspects of God’s nature – His holiness and love, for example – have been obscured by the Fall, it is disbelief in God’s existence and power that is irrational, not belief. To assume that the universe is just a cosmic accident goes against the grain of everything we experience. Everything that we have ever encountered with our senses has a cause – why not the universe? We allow a superficial smattering of scientific knowledge to divest us of an appropriate sense of wonder. Only God is an eternal Spirit. He is not a created being. He is of an entirely different order from the physical realm. He was there “in the beginning” before anything else existed. (Genesis 1:1; Psalm 33:9; Isaiah 57:15; John 1:1-3; 1 Timothy 6:16). He has no beginning or end, and He is unbounded by time and space. (Psalm 90:2,4; 93:2; Isaiah 40:28). Everything else that exists-minerals, water, plants, animals, angels, demons-is on a lower plane. (Psalm 33:6; Isaiah 45:12; Colossians 1:16; Revelation 4:11). God made human beings in His image (Genesis 1:26-27), but we are still part of the material world. Each of us had a specific beginning. We experience three-dimensions and the passing of time. Being immersed in time and space, we become overwhelmed and confused when we try to understand or even imagine a limitless, eternal, God (Job 36:26; Isaiah 40:28). As, noted above, many people simply choose to ignore the overwhelming experiential and natural evidence for God’s existence. Ultimately, faith comes down to a decision of the heart. A mind darkened by a rebellious heart is incapable of perceiving God (Isaiah 44:18,20;Romans 1:18-23). To summarize: The eternal God is transcendent, not part of creation. God’s existence cannot be “proven” in the way that science can prove or disprove a fact about the material world (Hebrews 11:1). We are spiritual beings, created in God’s image, aware of our own existence, and capable of choice. If we choose to believe that there is no God, and that the universe is just a fantastically complex accident, our choice will inevitably lead to the conclusion that life is absurd and without meaning. Life without meaning, value, and purpose, is a hopeless struggle at best, and always ends in despair. When we believe in the One True God of all Creation –as He is revealed in the Bible — we not only have a reason to believe in life’s meaningfulness, but we also have the assurance of seeing the kingdom of God with our own eyes.